Parts are currently in Orlando, FL. Prices are picked up and do not include shipping or PayPal fees. All parts are authentic unless otherwise stated. Quickest way to contact me is through text message (954) 643-8642 – Peter. The only things I am looking to trade for are stock IS rims and lugs. 21. Hankook Ventus V12 Evo 245/35/19. 22. ProCharger C2 Supercharger Bracket, pulley, and belt. Last edited by nmpeter; 06-22-13 at 08:39 AM. Let me know if You can sell just rear vertex piece. 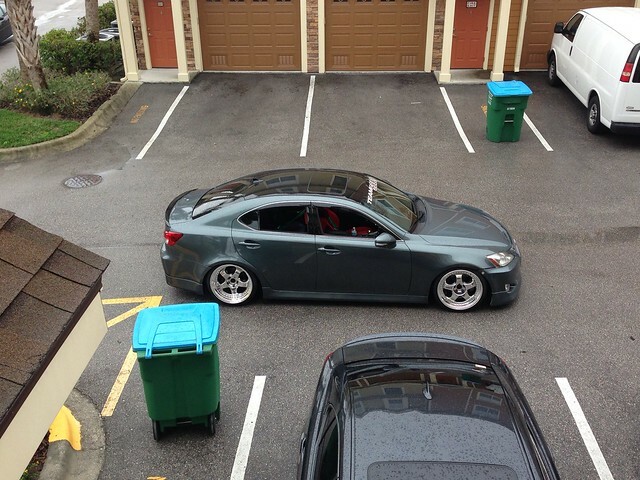 any better pics of the rear splitters? hmmm waiting for the partout..
Partout is live once again! No turning back this time. Price of grill insert shipped to 10312? damn... its for real! sorry to see you go, GLWS! I'll get in line for the vertex sides if none go through.